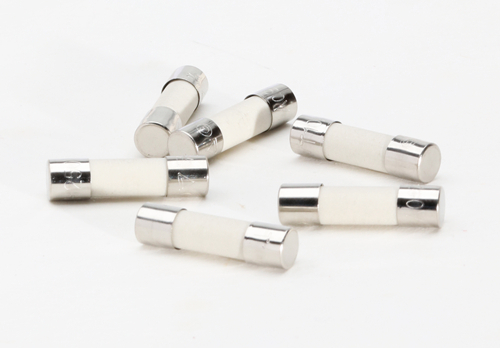 RF1-20 (H) ceramic tube high breaking fast-acting fuse, with size Ф5×20±0.5, the fuses conform to TUVJ50078894 standard. The fuse needs to be fitted with a holder or clip.The melt wire of the fuse installed in the porcelain tube is filled with quartz sand, which acts as the arc extinguishing medium. The particle size of quartz sand has a great influence on the arc extinguishing performance, and the particle diameter is in the range of 0.2~0.3mm. 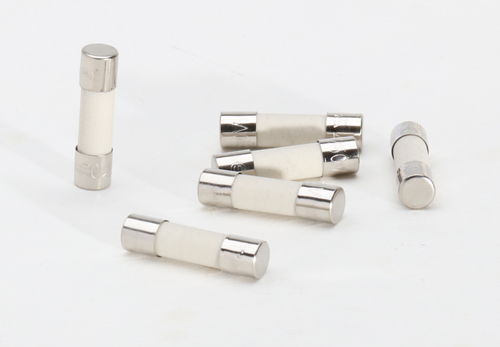 When the overload current or short-circuit current goes through the fuse, the fuse melts and arc is generated in the tube, the quartz sand has a strong cooling effect on arc and deionization, the arc soon extinguished. 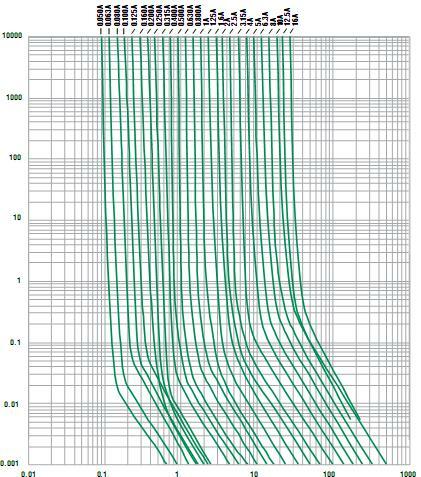 In breaking up the large short-circuit current; usually the arc can be extinguished before the short circuit current has not reached the maximum value. In the whole process of breaking current, there is the phenomenon of silent light, no ionized gas, and high breaking capacity. Application: Lightning protection equipment, Power Supply, Industrial Control, Electric tools,etc. Looking for ideal 500mA Fast Blow HBC Fuse Manufacturer & supplier ? We have a wide selection at great prices to help you get creative. All the 800mA HBC Tube Fast Fuse are quality guaranteed. 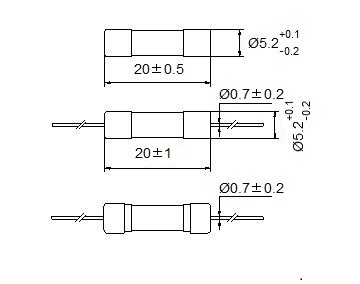 We are China Origin Factory of 6 Amp HBC Fuse Fast-acting. If you have any question, please feel free to contact us.